The book is about Nishi, Adah, Rishi and Adi. How Nishi strongly has feelings for her best friend’s fiance. How Adi and Nishi met. How Nishi struggles to find a job, how she ends her relationship with Deepak, How she got a job in radio. It takes a lot to follow your heart. 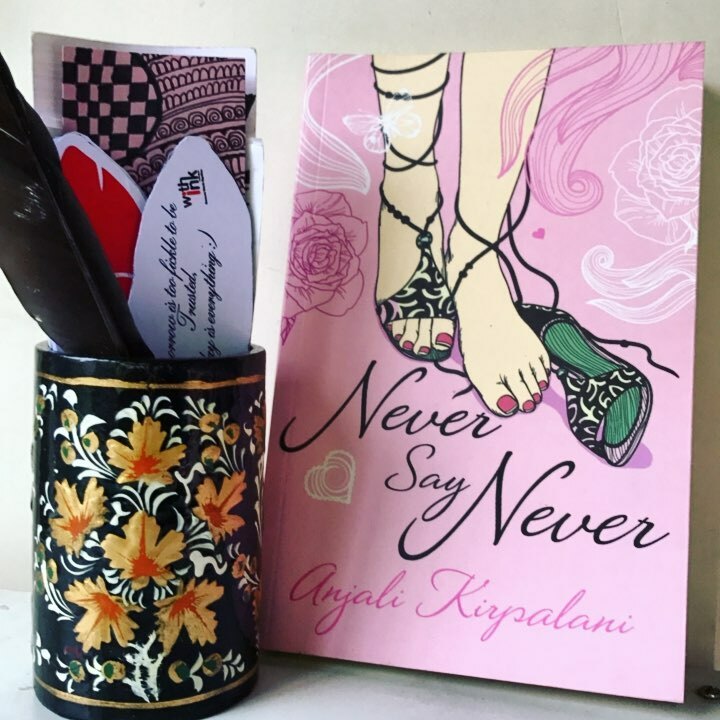 Never say never is a book with lots of fun, twists and about gut feelings. How Nishi struggle for a job, but she refuses to take one which she doesn’t enjoy. How she loves to be a fun girl, a shine of party. The book is very well written and it will keep you engaged till the end. The saga of friendship, love, and following your heart is really amazing. The plot is very well designed with how Adah Cheats Rishi, how Rishi felt guilty, how Nishi gave up on her Rishi, which she thought was love but was just an attraction, how she felt like being herself when she was with Adi, how she finally got a job that she loved that too unexpected. How jealousy of one person cost many lives. The overall story has an interesting track and it keeps us engaged throughout. How that fun girl finally comes out of stress and settle for the best. The saga of friendship, betrayal, love, affection, and attraction is really amazing.